ABSTRACT: This publication provides methodologies to measure the seismic performance of buildingsÍ structural or nonstructural components in a consistent and comparable manner. It describes two laboratory testing protocols that determine fragility functions for various building systems and components. 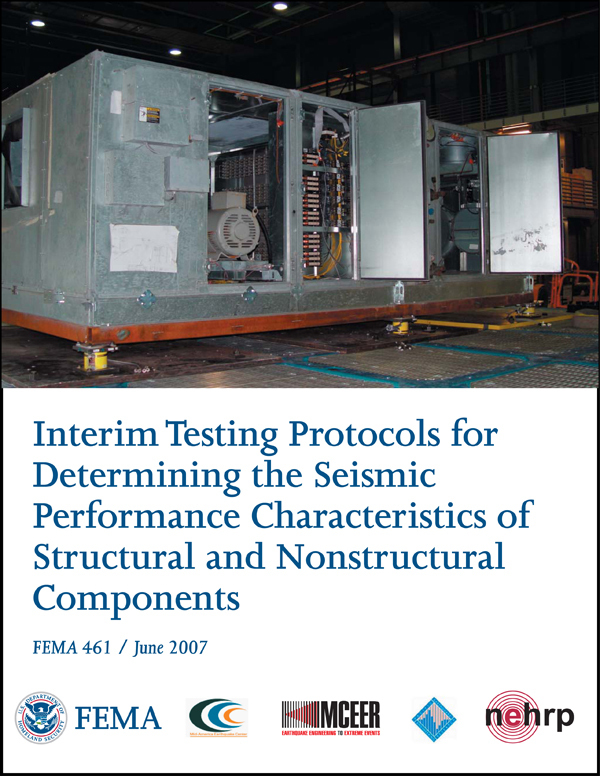 The first protocol, Quasi-Static Cyclic Testing of Structural and Nonstructural Components and Systems, can be used to test elements whose behavior is sensitive to the relative motion of several floors or vertical connections within a building. The second protocol, Shake Table Testing of Structural and Nonstructural Components and Systems, is designed for testing elements that are sensitive to the dynamic effects of motion imparted at a single point of attachment. 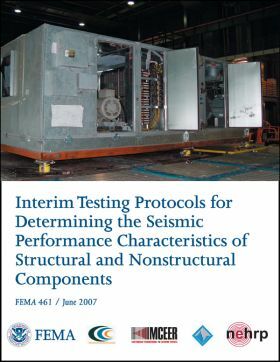 Although these protocols are intended as interim methods that will be finalized over time as they are used and evaluated by researchers nationwide, they are nevertheless a significant step forward in the development of performance-based seismic design. Available free of charge by contacting FEMA (phone: 1-800-480-2520).